Client Brief : The client is into the business of delivering gifts and flowers across India. They wanted us to create a website which is vibrant and lively but at the same time which would convey that the website is a serious player in the gifting industry. 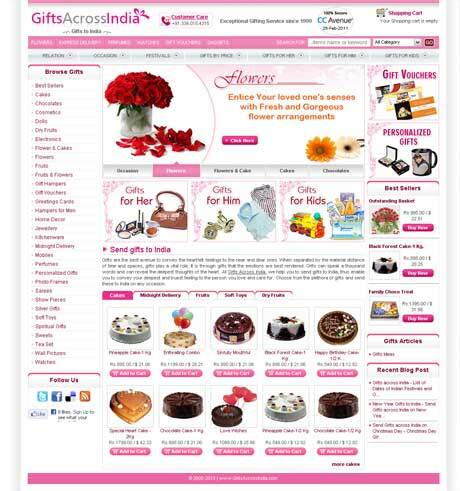 We were asked to create a layout which would help the customer in choosing the website for their gifting requirement. Solution Provided : After showing a couple of designs, we finally zeroed down on the combination of grey and pink. Pink would provide vibrancy to the website and grey would depict the seriousness with which the business is conducted.